This is the time of year where we start to see a lot of films that are potentially Oscar-worthy, but for whatever reason are only released in a few theaters. If you have a chance to see any of these films I would highly recommend it. They are not necessarily palatable for those of you that like the highly commercialized films, but for those of you that like films off the beaten path these may be good choices for you. Plot: An aging actor tries to revitalize his career by writing, directing and staring in a Broadway play. 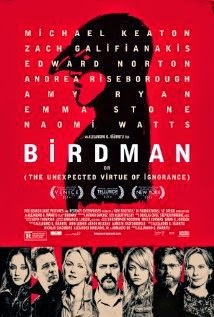 This is one of the most original films I've seen in a while. The way this movie is shot is so innovative and fun you can't help but to be mesmerized by it. The first 97% or so of the movie is shot with what is supposed to be a single camera, continuous shot. It is absolutely fascinating. Aside from the creative cinematography, the acting is outstanding and the story is compelling and the characters are deep. You really feel for these characters and understand their struggles. There is an aspect to this film that will turn off some movie-goers. At times it seems interesting at other times it feels out of place to the rest of the story, but for those that are willing to suspend disbelief and just go with it, you will truly enjoy this film. This is an amazing film. J.K. Simmons character is one of the most evil villains to hit the big screen in years. He is so brutally abusive to his students that you truly hate him with your entire being. His creative use of the F-word is almost mesmerizing. If he isn't up for a Best Supporting Actor Oscar it would be a real shame. It is fascinating to watch Miles Teller's character grow throughout the film from a cocky but insecure student into a driven man willing to risk everything for the sake of his career. Plus, he plays the drums with the passion of the greats. This is an outstanding "overcomer" film that is worth seeing if you can find it in theaters. Eddie Redmayne should not only be nominated for the Best Actor Oscar, but we should just go ahead and give him the statue now. His performance is astounding. The Academy is partial to pretty people making themselves much less physically desirable for a role, and Redmayne does that in this movie, but he goes beyond the physical. He transforms into Stephen Hawking. Felicity Jones may get an Oscar nod as well and if so, it will be well-deserved. She plays the "I've given up my own dreams for the sake of my family" role spot on. This movie is brilliant, heartwarming, heartbreaking and inspiring all at once. 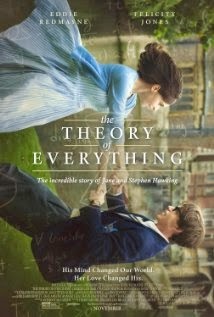 Even if you are not a fan of Stephen Hawking, this film will still entertain you. 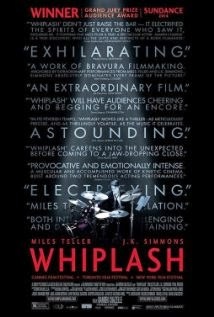 This film is a long-shot for Oscar consideration, but it is a great film. It's an interesting commentary on the part of the late-twenties generation that refuses to grow up and move on past their time in high school and college. 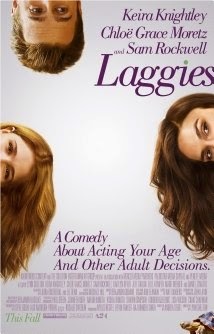 Sam Rockwell is spectacular in his role as a single dad trying to raise an unruly teen girl. Keira Knightley is refreshing in her role as someone that doesn't have all of her stuff together. And Chloe Grace Moretz proves once again that she is one of the greatest teen actors of our time. The plot isn't mind-blowing, which is why it probably will be overlooked by The Academy, but the performances are worth watching.